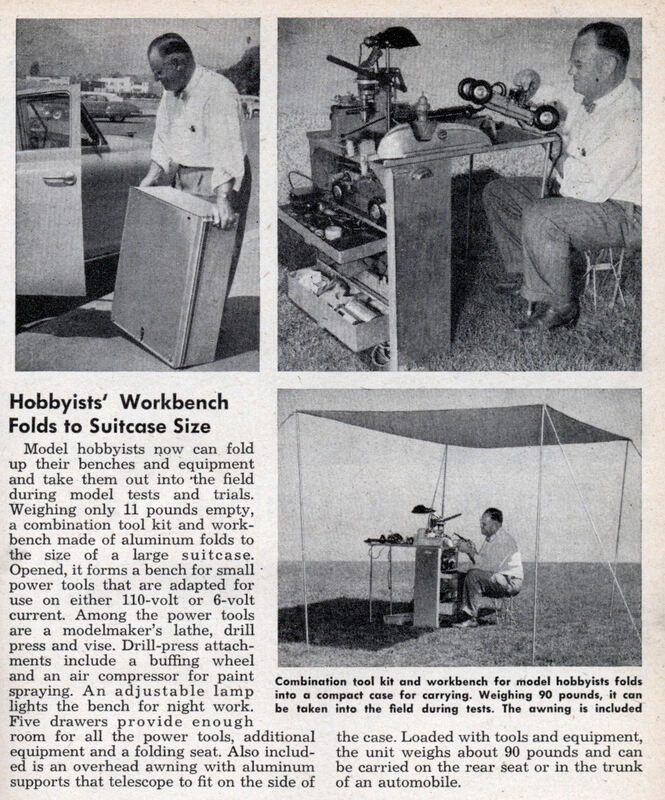 Model hobbyists now can fold up their benches and equipment and take them out into ‘the field during model tests and trials. Weighing only 11 pounds empty, a combination tool kit and workbench made of aluminum folds to the size of a large suitcase. Opened, it forms a bench for small power tools that are adapted for use on either 110-volt or 6-volt current. 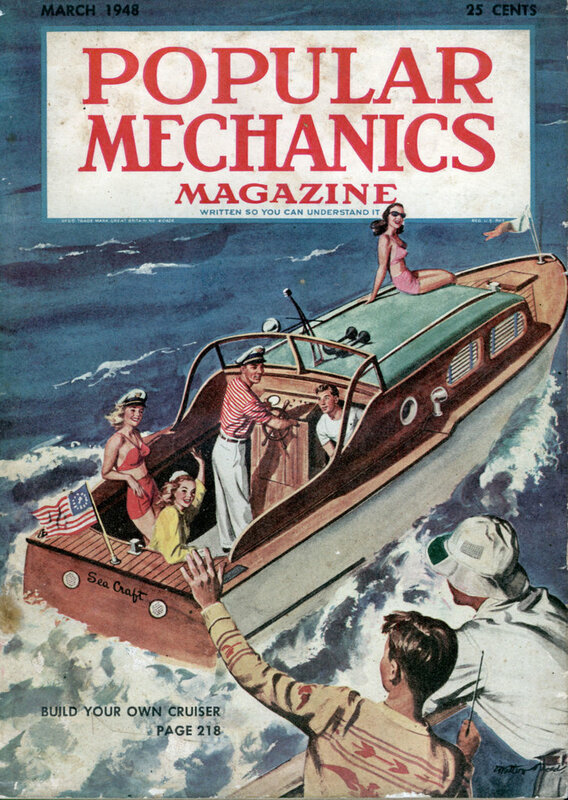 Among the power tools are a modelmaker’s lathe, drill press and vise. Drill-press attachments include a buffing wheel and an air compressor for paint spraying. An adjustable lamp lights the bench for night work. Five drawers provide enough room for all the power tools, additional equipment and a folding seat. Also included is an overhead awning with aluminum supports that telescope to fit on the side of the case. Loaded with tools and equipment, the unit weighs about 90 pounds and can be carried on the rear seat or in the trunk of an automobile.